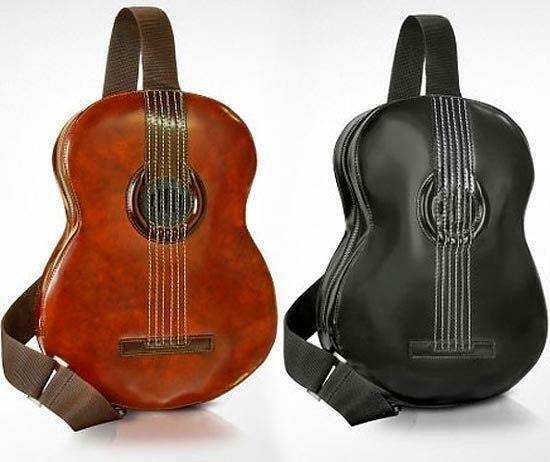 Feel classy with this Italian calf leather guitar inspired backpack. Its smooth sensual curves and shoulder strap neck just beg you to pluck its harmonious strings. Or perhaps just store your books and goods inside.